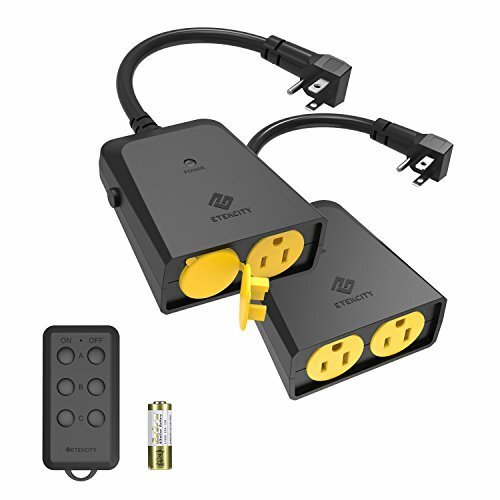 Pair freely with the latest IR remote technology, use multiple remotes to control one outlet, or one remote to control multiple outlets. Switch on patio lights without reaching for difficult-to-reach outlets, or heat up the grill with one tap. All-weather ready the outdoor remote is designed to be weather-proof and is thus completely safe for use regardless of the weather. With UL, etc., and FCC certifications, be at peace to use it, rain or shine! seasonably smart deck out your home with all your favorite traditional and modern decorations, but manage them in a smart, efficient way with our outdoor remote outlet.